This tactical rifle carry case is near new condition. 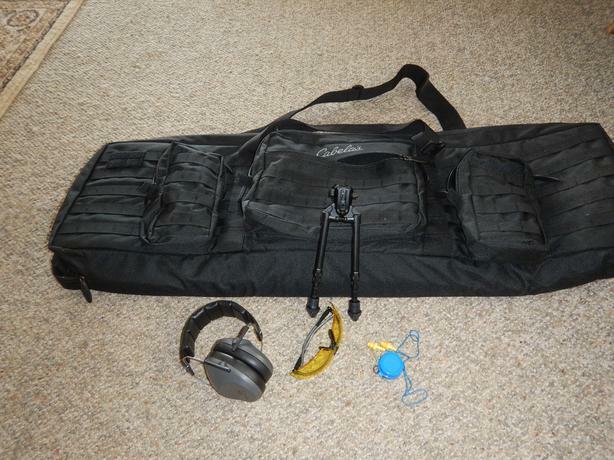 Shoulder carry strap with multiple pockets; will include ear protection, eye protection and tripod. Only used at shooting range.